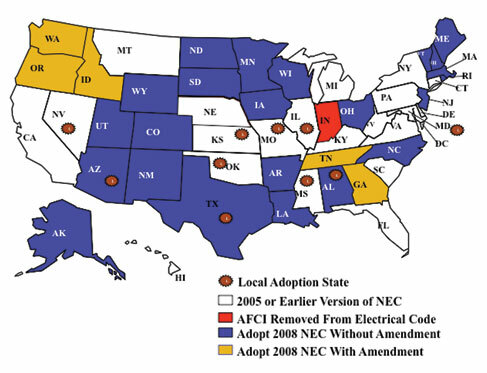 The 2008 National Electrical Code (NEC) revision cycle and the adoption process throughout the United States is exceeding expectations and elevating the importance of electrical safety to new heights.This code cycle has moved beyond the simple adoption of the latest version of the NEC and has taken a step forward in raising the awareness of electrical safety to more people than ever before. The success and impact that NEC -2008 has had across the United States to date is outstanding and it is important we learn from the events that have taken place so that we keep the momentum moving forward and continue to take this adoption process to a new level. There is more to this adoption process than the adoption of the Code with little to no amendments. There is more to the meetings that are being held by code officials and government panels than making motions to adopt. We must recognize the industry’s success for what has been accomplished and extend a great pat on the back to the code adoption officials in various states. It is their hard work, diligence, and dedication that have resulted, time and again, in the support of the adoption of NEC-2008. It was their fortitude that ensured the attention to the details and the answering of all the questions posed that has helped educate all involved. Not only have these individuals raised the level of awareness and understanding of theCodeand the key items it includes to those who had to make decisions, they have also done so to those who watched as the events unfolded. Over and over we see information and dialogue delivered to a great number of people across the country centered on the adoption of NEC-2008. The hotly debated topics across the country include the expansion of ground-fault circuit-interrupter (GFCI) requirements, expansion of arc-fault circuit-interrupter (AFCI) requirements and tamper-resistant receptacle (TRR) requirements. A review of the adoption process across the U.S. may be quite revealing about the success of NEC-2008 by witnessing not only the successful adoption, but also the heightened level of awareness to electrical safety that this process has fostered. Yes, the word “national” is in the title of NFPA but this does not mean that every state immediately adopts the latest version of the released document when it is made available by the NFPA. When this document is finally published, after three years of public input, debate and revision, a process of adoption occurs from state to state and jurisdiction to jurisdiction. It’s at this stage that the document again falls under review by local governments who must adopt and incorporate it into their local or state electrical requirements. In many cases, sub-committees are appointed to review the latest version of theNEC, public input is sought and recommendations are made to adopt with or without amendment. This process has acted as a springboard for various reports and news articles related to the debated topics across the country. Articles by Mr. Tim McClintock can be found in previous editions of this publication related to the Ohio adoption process. The adoption in this state alone, in addition to the articles found here inIAEI News, resulted in numerous newspaper articles and television news reports. In Ohio, betweenThe Plain Dealer,The Columbus Dispatch,EC&M Magazine, and the websiteCincinatte.coma total of nine articles were in print from February 12, 2008, through January 11, 2009. Investigator Ron Regan of ABC’sNewsChannel5news in Ohio ran a series of news reports where he, as well as key professionals in the industry, shared with many Ohio citizens the value of the AFCI devices. Many in Ohio were educated on the value thatNEC-2008 has to offer. They directly heard from Mr. Tom Moore, city of Beachwood electrical/building inspector,and from Mr. Mark Early of the NFPA on the value that AFCI products can provide. This is a value over and above the adoption of theNEC. Many homeowners, do-it-yourselfers, and others were educated on what is available andNEC-2008 was subsequently adopted without amendment. The rollout across the United States ofNEC-2008 has, in many regards, been the most successful ever. The three items mentioned above have history in theNEC. One of these debated topics, GFCI protection, can be traced back the furthest in time. The beginnings of this requirement root are as far back asNEC-1971 in 680-20(a)(2) for swimming pool underwater lighting and in 680-6 for receptacles near swimming pools. The progression of the requirements for this technology played an important role in the reduction of deaths across the country due to electrical shock. In 1971, there were more than 1,000 electrocutions per year in the U.S. as per the National Center for Health Statistics, Consumer Products Safety Commission. This number has been reduced to less than 400 electrocutions per year as theNECexpanded its requirement of GFCI protection over time.In 1975, GFCI requirements were expanded to temporary wiring and water fountains. In 1981, Article 680 incorporated GFCI requirements for hot tubs and spas. In 2002, GFCI requirements were put in place for cord- and plug-connected appliances which are subject to immersion; and in 2005, the same for vending machines. Here we are today with the 2008 version of theCode, and the code-making panel members, after considering technical substantiations and more statistics, have picked up a few more circuits to continue the battle in reducing electrocutions. Just as GFCIs were new on the market at one time, another new safety product, tamper-resistant receptacles (TRRs), has also most recently entered the residential market. This additional feature to receptacles prevents children from inserting such items as safety pins and paper clips into receptacles. This is achieved by the implementation of shutters in the slots of the receptacle for the “hot” and the “neutral” prongs of a plug. These little shutters provide a lot of protection for our most precious dwelling unit occupants. What are the statistics behind this requirement and what influenced the decision to require this technology in new home construction? Approximately 2,400 children receive emergency room treatment every year for injuries caused by inserting objects into electrical receptacles, according to U.S. Consumer Product Safety Commission (CPSC) data. The injuries reported range from electric shock to first-, second- and third-degree burns. And, although rare, some cases proved fatal. This safety requirement is in its infancy stages with respect to the impact on electrical safety. In fact, even when looking at the affect on electrocutions that GFCIs have had, the reduction of electrocutions from more than 1,000 to less than 400 spanned a time frame from 1970 until today. That is more than thirty-nine years. Keep in mind, theNECis a new construction document. The new technology that the code provides will be placed in new homes across the country. The impact to safety will depend not only on how many homes are constructed across the country but also on how many people elect to install this technology in existing homes as part of home improvement projects. We are planting seeds from which our children and our children’s children will benefit. Electrical fires are devastating. They affect more than just those who have been touched by the beast. Lives are lost as well as property. Entire neighborhoods suffer with those that have experienced the worst that electricity has to offer. Each year home electrical fires take approximately 480 lives, injure more than 2,000 and destroy more than $868 million in property as per data from the most recent United States Fire Administration (USFA) reports. While working smoke alarms, fire extinguishers, and other safety measures provide life-saving help, this help comes only after the fire has started. 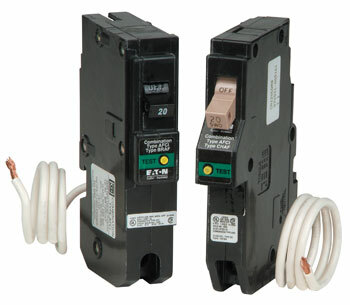 The NEC, since the 1999 edition, has included arc-fault circuit-interrupter (AFCI) technology that is a pro-active device which has the ability to prevent the fire from starting. 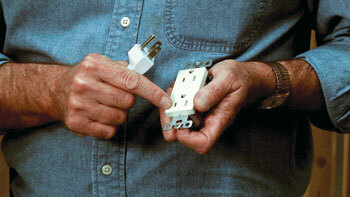 It can prevent dangerous and deadly electrical fires from destroying lives and property. Similar to GFCI technology, the NEC is exhibiting a progression of AFCI coverage for the circuits of a residential home. Starting on bedroom receptacle outlets, this technology has seen incremental expansion to other circuits in the home.NEC-2008 now requires AFCI protection for circuits supplying bedrooms, family rooms, dining rooms, living rooms, parlors, libraries, dens, sunrooms, recreation rooms, closets, hallways, or similar rooms or areas. This technology is well on its way to impacting electrical fires with hopefully the same or even better results than GFCIs have had on electrocutions in the market. Historically, the NEC was a document that simply was adopted at state and local levels without much concern about what it contained. In recent years, this has not quite been the norm. Some are uncomfortable with the disagreement and debate that can be experienced at not only the local and state process adoption, but also at the national level during the proposal and comment stages of the development of NEC revisions. Whether we feel comfortable with the debate and disagreement dialog or not, we should get used to it and even welcome it. Disagreement and debate is indeed an integral part of our government. Our country’s constitution wasn’t something that everyone agreed with and simply nodded their heads to when it was developed. I would argue that our government was established knowing this, and was configured in such a manner as to promote debate, including the checks and balances necessary to ensure we all work toward a common goal, the common good. The process of debate strengthens and helps to ensure sustainable decisions are made in its presence. Let’s consider the events that have played out and continue to play out across the country with respect to the adoption of NEC-2008. The dynamics that exist include those that support the code and its adoption without amendment, and those that wish to remove certain requirements such as expanded GFCI, AFCI and TRR provisions. The existence of these opposing forces helps to educate all involved on these topics. These opposing forces demand facts and understanding of these requirements. If it wasn’t for the opposing forces, individuals like Mr. Tim McClintock of Ohio would never have gathered and published facts and figures which presented data showing how inexpensive these requirements really are, and dispelled the myths of outrageous costs. His efforts and the efforts of those he worked with, including Tom Moore, the National Electrical Manufacturers Association (NEMA) and the NFPA, led to the adoption of NEC-2008 without amendment in the state of Ohio. His efforts and resultant documentation are still used across the U.S. to help educate all of those involved, about the safety products that are being debated. If it wasn’t for this debate, we would not have a document showing the true financial cost impact of NEC-2008. We would not have had numerous newspaper articles talking about the NEC and its provisions. This exposure is educating homeowners on the technologies that can save their property and lives. Television news stations aired the debate and all who watched understood a little bit more about the topics and safety products being discussed. This has played out in numerous states across the United States. Granted, there are many states that have adopted theCodewith very little debate. Of the few who saw strong pushback from a strong organization, many now have a better understanding about the technologies being discussed. In fact, as this article is written, it is estimated that the fruits of this debate, news and magazine articles as well as TV news reports, have educated upwards of 5.5 million people across the United States. This includes those who may have read articles, heard discussions on the radio, watched information on television or read something on a web page, in a newspaper or in a blog that were related to these safety items. Misinformation related to low-income housing impacts was dispelled. A simple mistake of presenting TRR, AFCI and GFCI requirements for a large home as the requirements for a small low income home could have left key decision makers with the wrong impression. Mistakes such as these when left un-challenged are repeated and eventually accepted as fact. Yet another example of misinformation surrounds implications that plugging and unplugging into a TRR is too difficult for the elderly. These statements can be made erroneously, and sometimes innocently, with absolutely no factual data behind it. When repeated numerous times, with no opposition, it can be accepted as fact. These accusations have led to research and creation of documents that show there is no concern for our elderly based on factual data. Events like this are not normally documented and shared with many. 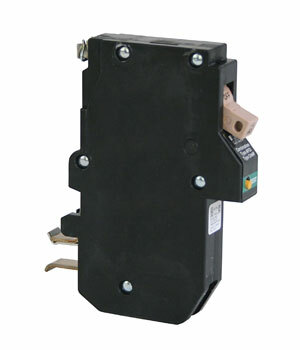 In fact, in some cases such as this, it may even be common to replace the AFCI with a standard thermal magnetic circuit breaker. It would have been labeled as nuisance tripping. It could have devastating results. As a society we normally document when things don’t go as planned or when fires are not prevented, accidents are not avoided. These are times we yell the loudest. When events such as these occur and are repaired, those involved move on with their lives. We can all rest assured that eventually a data point is impacted on some future report. To date, NEC-2008 has been reviewed by twenty-eight states. None of these states has amended out the requirement for tamper-resistant receptacles, but five have kept the requirement for AFCIs to the bedroom circuits. Historically, four states amended the AFCI requirements out of the code. Wisconsin, Nebraska and Indiana have always amended the AFCI requirement from the code and New Jersey made the requirement optional. NEC-2008 has made an enormous impact on the citizens of Wisconsin and New Jersey for these states will be afforded the protection of the expanded AFCI and GFCI as well as tamper-resistant receptacles as required in NEC-2008. The citizens of Nebraska, although still on NEC-2005, have amended their existing code to now include AFCI protection on bedroom circuits. Three of the four states that previously did not support AFCIs now embrace this technology. All of this is a direct result of the debates that have played out in key states and of the efforts of organizations such as the IAEI, NFPA, ESFI, NEMA and others. As the final states adopt NEC-2008, the NFPA will be releasing the 2011 version of this document. The states will again be conducting their reviews and considering the adoption of this new release. We as professionals in this industry must embrace those who question the provisions within. As can be seen throughout the adoption of NEC-2008, we all grow with knowledge as questions are answered and debates play out. Electrical safety took a huge step forward during the 2008 cycle and will hopefully take yet another leap forward in the time ahead of us with the 2011 cycle knocking at our door.